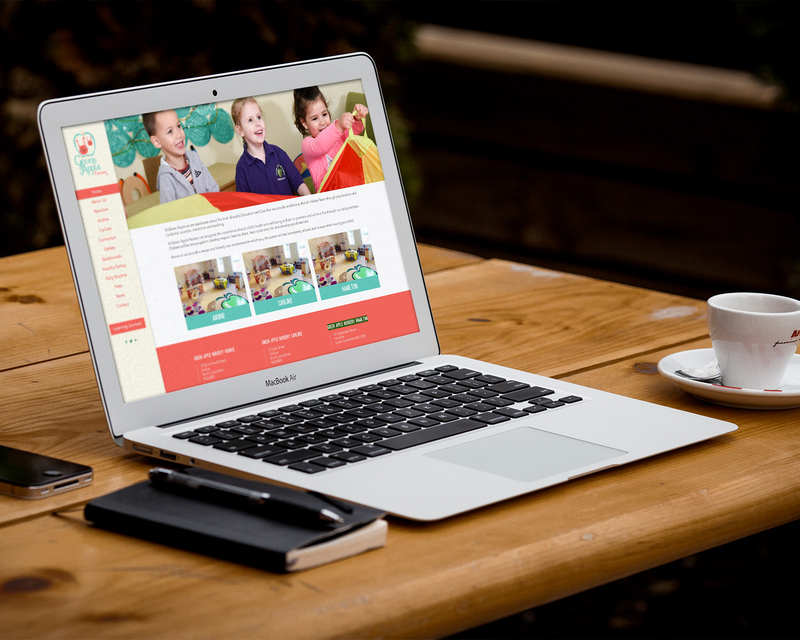 Website design for nurseries and childcare providers is something we do a lot of here at Three Girls Media. 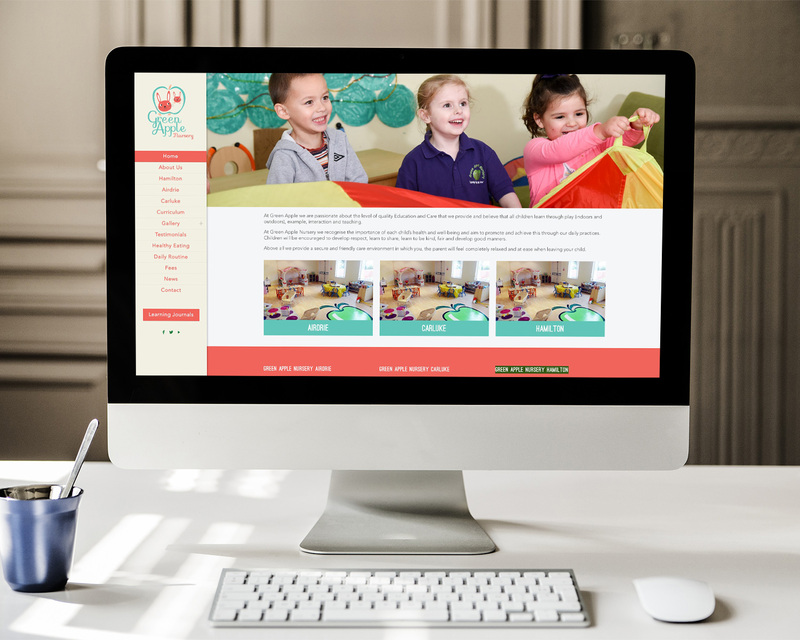 When Green Apple Nursery came to us they already had a website, but their previous designer had simply purchased a template for them and customised it with their details. For a fantastic new nursery, this was not exactly the bespoke look that they wanted. Ami and his team in Hamilton have created a truly wonderful nursery, and wanted a website that reflected their passion for childcare. 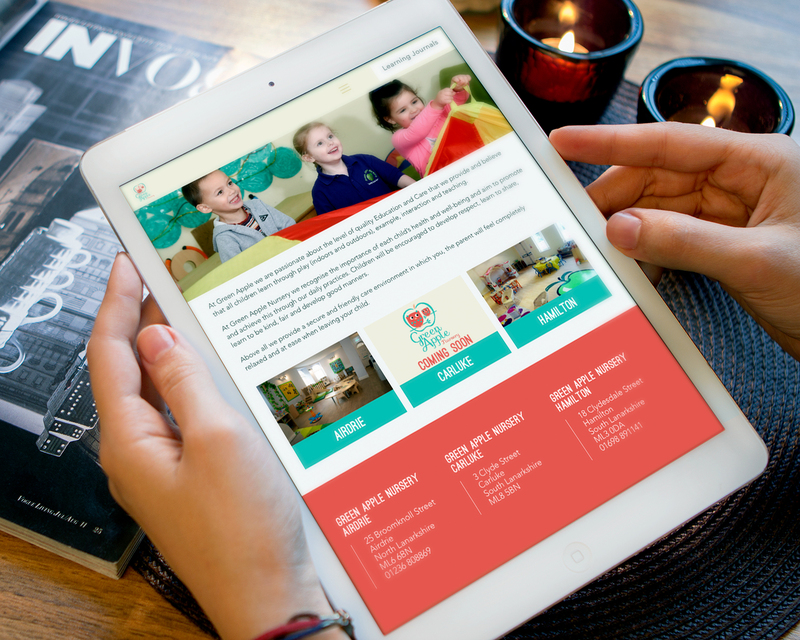 They wanted both potential and existing customers to engage with the site and so we provided a Parent Zone so that they could safely use the nursery website to target both audiences. We had a lot of fun helping them to develop the Green Apple branding, and we think that the character wearing the chef's hat is very fetching! A few weeks after launch, Nicola who manages the nursery told us: "We have had so many compliments regarding the website and alongside word of mouth, the website has been the most successful source of filling up our wee nursery." Features of the website include a private Parent Zone, a staff showcase, and numerous galleries.